“Age is totally boring,” Diana Vreeland once said. And who would know better than the ever-stylish former editor of Harper’s Bazaar and Vogue, who lived vivaciously until she was 86 years old (and also used to say she had a terrible time remembering exactly when her birthday was)? In 2018, it seems that Instagram agrees: Age is irrelevant. While the fashion industry has long been obsessed with youth, on Instagram, the only number that matters isn’t the one that tallies up the years you’ve been alive. 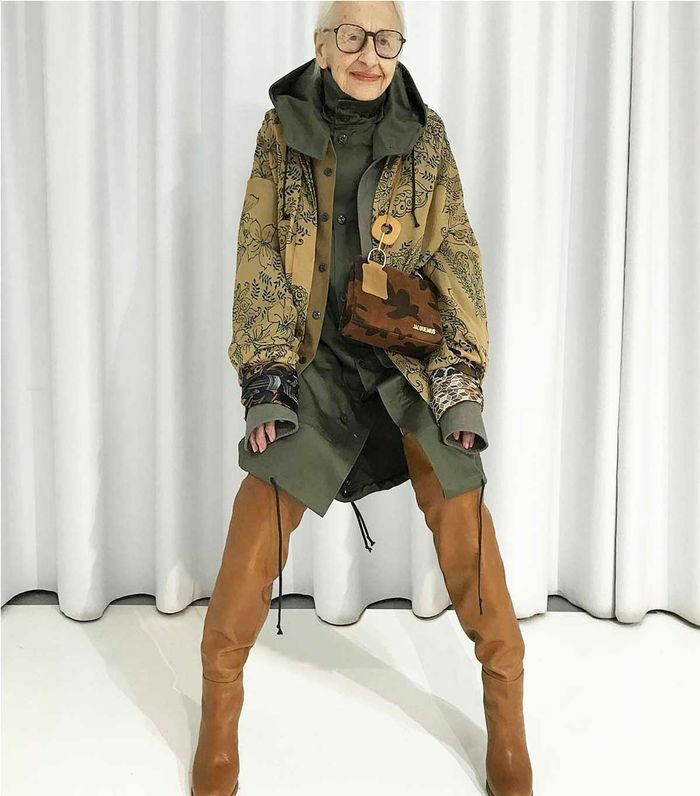 Now, among scores of budding influencers from Gen Y and Gen Z, there’s a growing category of women over the age of 50 taking to the app to document their personal style. But if you think these are twinset-and-pearl types, think again. For these stylish women, an average #OOTD post might include a matching tracksuit, a Balenciaga look or something simple styled up with a pair of leather thigh-high boots. What they share in common is the decades they’ve spent refining their wardrobes to strike their own fashion groove. 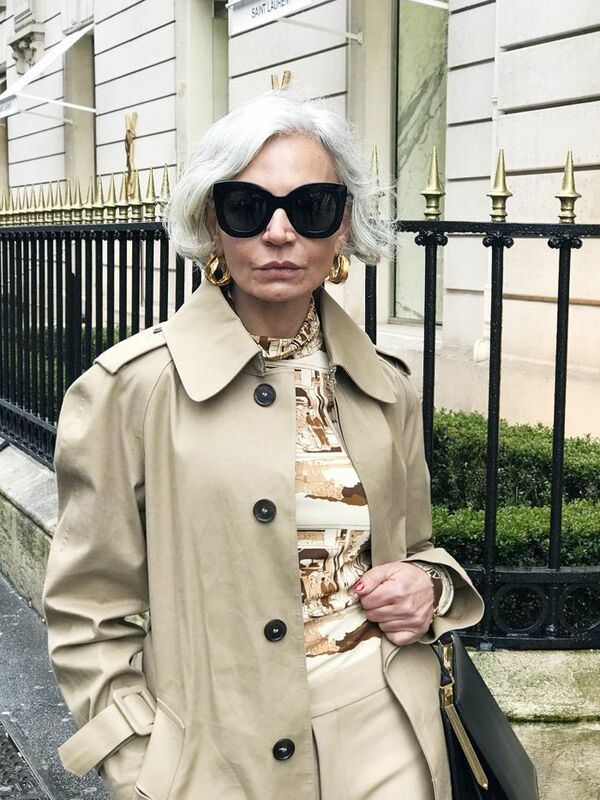 From the 96-year-old modelling for an edgy concept store to the university lecturer who found fame in fashion at age 63, these seven older Instagram stars clearly have a lot to teach us about style. Though she only began posting on Instagram in October 2017, former probation officer Renia Jaz has already amassed an army of fans thanks to her experimental style and attention to detail. While some women of a certain age choose to eschew seasonal trends, Jaz says they’re a source of inspiration for her. “It’s all thanks to trends that I keep my wardrobe looking fresh,” she explains. Indeed, her feed is like a bingo card of this season’s hottest looks. There’s OTK boots (red, of course), pastel trouser suits, “dad” trainers, Balenciaga socks, belt bags… She pairs these with casual basics such as black polo-necks or plain white tees to achieve a look that appears trendy but not try-hard. Seven years ago, Ari Seth Cohen began photographing Colleen Heidemann for his blog, Advanced Style. One Ugg campaign and 34k Instagram followers later, the former flight attendant is the first woman over 60 to be signed to the main board of Next Models. This glamourpuss’s wardrobe is a combination of elegant staples (think slim-cut long black dresses) and fun flourishes such as knockout earrings or a pair of curiously brilliant separate sleeves—a fashion statement she says she’s be making for years. Perhaps explaining her penchant for Crayola-hued faux-fur coats, her motto is “If not now, when?” Hear, hear. 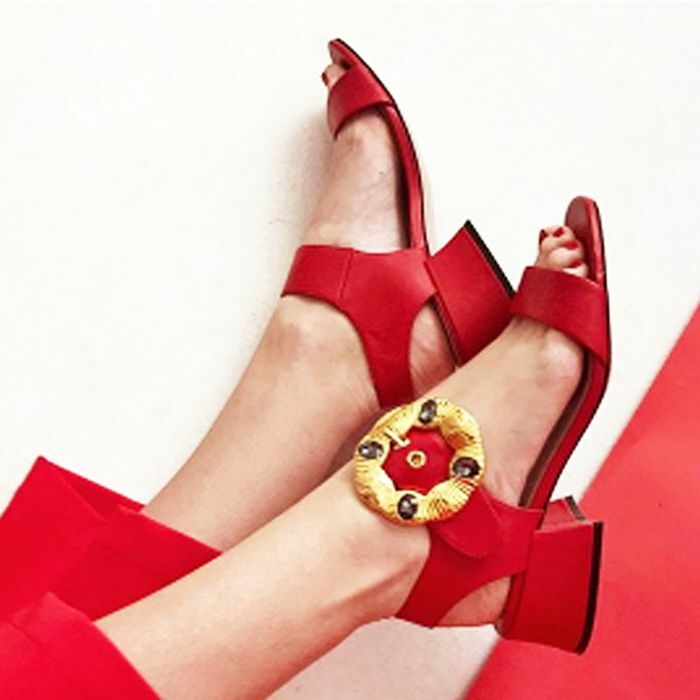 One of the most stylish women you’ll find on Instagram of any age period, Parisian journalist and author Sophie Fontanel throws French fashion stereotypes out of the window with her fun and outré sense of style. A playful mix of colour and proportion, high street and designer, typical outfits from her wardrobe include a pair of vinyl Loewe wide-leg trousers and a Uniqlo jumper, or a some pink H&M wide-legs with a half-unbuttoned vintage striped shirt. Spot the similarity? Flowing loose-fit trews are her go-to (she hardly ever wears skirts). Do as she does and pair yours with some chunky-soled trainers. The Instagram feed of the part-time model part-time Iyengar yoga teacher Lou Kenny is a lesson in low-key style. Think sun-soaked shots of white cotton outfits, stonewashed denim, basically Diane Keaton’s easy breezy wardrobe in Something's Gotta Give, and you are on the right track. It’s happy-making stuff. In one selfie she wears a pair of big pants with a denim jacket and a gigantic smile, in another she’s cartwheeling on the beach in a colourful stripe swimsuit. Not everyone can chuck on an oversized dress and a pair of Adidas and look as chic as Ingmari Lamy, a Swedish model who first became famous in the late 1960s as the face of Yves Saint Laurent fragrance. Now based in Stockholm and signed to nine modelling agencies globally, the white-haired beauty's look is what we're calling part Scandi architect, part eccentric art collector. Blogging under the name of Accidental Icon, this professor of social work at Fordham University, New York, became an icon IRL when she starred in Mango's Story of Uniqueness campaign in 2017. Unique Lyn Slater's style certainly is. Slater's outfits teeter around the avant-garde, comprising combinations from extra-wide trousers and a Pop Art lip-print coat, to a sculptural asymmetric back dress and a pair of sequin slouch boots. She describes her style as “evolving, experimental, subversive" and takes a particular interest in designers from China, including Angel Chen and Yajun Design. Our top takeaways? Try a sculptural white shirt, pick out a pair of geometric sunglasses, and always, always, wear red lipstick.